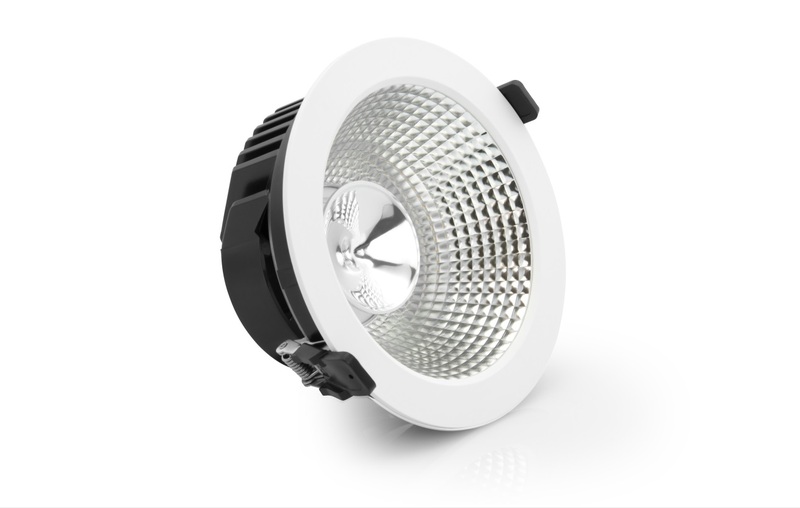 With a unified glare rating (UGR) as low as <10, the new elegant indirect downlight from Verbatim features a unique design that directs the light onto a reflector creating uniform and ultra-low glare illumination. The downlight will primarily be used for general lighting in working areas such as offices or reception areas, but also corridors, foyers, hotels, restaurants, display rooms and shops. The design was taken from Verbatim’s popular AR111 lamp which mimics the lighting effect of a traditional halogen lamp. It uses superpolished aluminium reflector material, increasing light reflection while decreasing optical loss.